By Wester Dental Care, P.C. Wearing orthodontic braces brings challenges to daily life. During treatment a patient will need to avoid certain foods and habits, take more time to brush and floss properly, and may endure occasional discomfort. 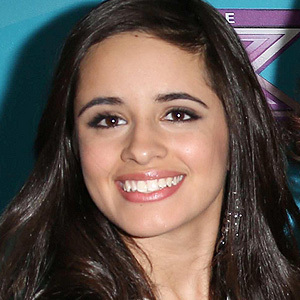 But the effect of metal braces on appearance can be especially difficult, especially for peer-conscious teens. Clear aligners, though, offer an alternative to braces that could make some of these challenges easier, particularly with your appearance. Aligners are clear plastic trays that fit over the teeth to move them. They can be removed by the wearer for easier brushing and flossing or for special occasions. Best of all, they're much less noticeable than metal braces. Clear aligners were developed thanks to advances in digital technology. An orthodontist uses a computer application incorporating the data from photographs, x-rays or CT scans of a patient's teeth and jaws to produce a series of clear plastic trays. The patient then wears each tray for about two weeks before changing to the next tray in the sequence. The trays apply pressure much like metal braces to gradually move teeth to the desired position on the jaw. Each tray is slightly smaller in size than the previous tray in the sequence, so that the progression of tooth movement continues with each succeeding tray. The treatment time is about the same as with conventional braces. This new orthodontic tool works well for many common bite problems, but until recently they've been limited in scope. But new designs in trays and attachments called buttons added to teeth to provide more leverage have greatly increased their use for more complex bite issues. Clear aligners also have one other disadvantage, ironically due to one of their principal benefits, removability. Although they can be taken out, they must be worn consistently to achieve results. Some younger patients may not have the maturity level and discipline to responsibly wear their aligners as they should. That's one issue you'll need to discuss with your orthodontist if you're considering clear aligners for your teen. 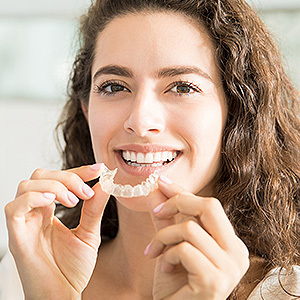 But if they can maintain wearing consistency, and they have a bite problem that can be corrected with aligners, both you and your teen may find this choice more agreeable and attractive than braces. At this time of year, hearts are everywhere you look, so it's fitting that February is American Heart Month, a time to focus on cardiovascular health. 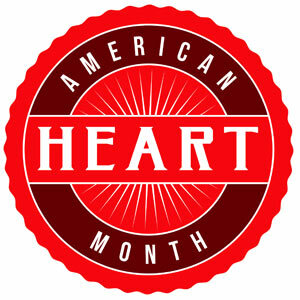 Cardiovascular disease, which includes heart disease and stroke, is the number one cause of death around the world. But did you know that there's a link between the health of your heart and the health of your mouth? People with advanced gum disease have a higher risk of having a heart attack, stroke or other cardiovascular event, but what is the connection? For one, oral bacteria found in gum disease can enter the bloodstream, where it has been found in artery-clogging plaque. In addition, untreated gum disease has been determined to worsen high blood pressure, a major contributor to heart attack, stroke and heart failure. One study reported that when gum disease was treated, high blood pressure fell by up to 13 points. But perhaps the most significant common denominator between gum disease and heart disease is inflammation, according to many researchers. Gum disease is the most common inflammatory disease, affecting nearly 50% of US adults over 30, and 70% of those aged 65 and older, according to the U.S. Centers for Disease Control. The body's inflammation response is a key weapon in fighting infection. However, when there is chronic low-level inflammation such as occurs with untreated periodontal (gum) disease, many adverse health effects can result. In one Harvard University study, chronic inflammation was found to triple the risk of heart attack and double the risk of stroke. Eat a heart-healthy—and gum-healthy—diet. A diet low in refined carbohydrates, high in fiber, vitamins C and D, antioxidants and Omega-3s has been shown to lower inflammation, benefitting your gums and your heart. Quit smoking. Using tobacco in any form is a risk factor for developing both gum disease and heart disease. Take care of your oral health. Gum disease can often be prevented—and reversed if caught early—simply with good oral hygiene, so be diligent about brushing your teeth twice a day and flossing once a day. Come in for regular cleanings and checkups. 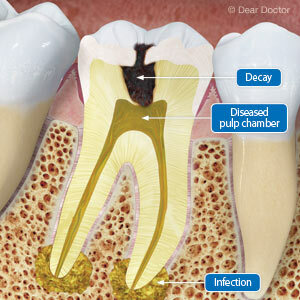 Regular cleanings can help keep your gums healthy, and an examination can determine if you have gum disease. Be sure to tell us about any medical conditions or medications. People have depended on dentures for generations—and they still do. That's because they work, both in restoring dental function and a smile marred by missing teeth. But they have one major drawback related to bone health. That's because living bone has a life cycle: as older cells die, new ones form to take their place. The pressure generated when we chew stimulates this growth. But when this stimulus goes missing along with the teeth, the cell replacement rate slows and bone volume and density gradually diminishes. Traditional dentures can't transmit this chewing pressure stimulus. And because they rest directly on the gum ridges, they can adversely affect the underlying bone and actually accelerate bone loss. But implant technology potentially solves this bone loss problem with dentures by using implants rather than the gums to support them. It's a two-fold benefit: first, the implants relieve much of the irritation to the gums and bone caused by traditional dentures. Primarily, though, the implants themselves can slow or even stop continuing bone loss. Most implants are made of titanium, not only because it's compatible with the body, but also because it has an affinity with bone. Over time bone cells grow on the titanium post imbedded in the jawbone. This process not only creates stability and durability, it can improve bone health. In recent years dentists have incorporated implants with dentures to create two exciting treatment options. With one option, the dentist installs two or more implants in the jaw, to which a specially fitted removable denture can be attached. You would still have the ease of removing the denture for cleaning, while gaining greater stability and a reduced risk of bone loss. 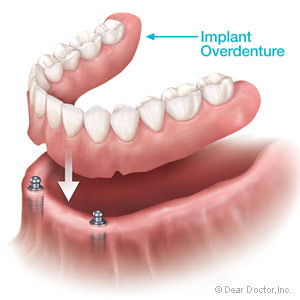 The other option is a fixed denture (or bridge) attached permanently to implants. For this option, a patient's jawbone must be adequate and healthy enough to support at least four to six implants. A fixed denture is also often costlier and more complex than a removable denture, but it can feel more like real teeth. It also promotes better bone health too. Although both options are more expensive than traditional dentures, they can pay dividends for long-term dental health. Implants could help you enjoy your new dentures and resulting smile for a long time to come.